When should we celebrate Easter? David Demson told us a cute story, during a seminar I took with him on the theology of Karl Barth. It was Easter morning, and Demson was walking across the campus of the University of Toronto. He saw an Orthodox priest coming toward him and he recalled the practice of the Orthodox, so he thought he could give the priest pleasure on that account. As they approached one another, David Demson said “Christ is risen,” to which the Orthodox priest rather grumpily replied “Not yet!” Of course, that shocked Demson for a moment, but he quickly saw the humor in it and I still chuckle every time I remember the story. At Christmas and Easter every year, as we celebrate the two great events of our Christian calendar, we are reminded of the sad division between the eastern and the western church. It was centuries in the making, as the churches directed from Rome and those led from Constantinople grew apart, but the decisive rupture occurred in 1054 when the patriarch of Constantinople (Michael Cerularius) and the bishop of Rome (Pope Leo IX) mutually excommunicated one another. Those excommunications were not lifted until 1965, when Pope Paul VI and Patriarch Athenagoras, presided over simultaneous ceremonies that revoked the excommunication decrees, as the outcome of their historic meeting in Jerusalem in 1964. This east-west tension becomes most obvious at Christmas and Easter when Christians of east and west very rarely celebrate at the same time. After decades of dispute about when Easter should be celebrated, Christian churches agreed at the first ecumenical Council in Nicea in AD 325. The Council decreed that Easter should be observed on the first Sunday following the first full moon after the spring equinox (March 21). Great, finally we have unity on that point! 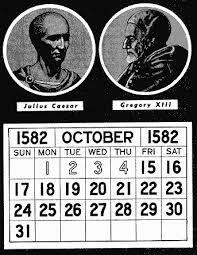 The Julian calendar was then used by everyone, but Pope Gregory XIII proclaimed a reform of the Julian calendar, in 1582. In order to address the discrepancy between the calendar and the solar year, Gregory set the vernal equinox to fall on April 21, as had been the case in AD 325. By 1582, the equinox was falling on March 11. In most of the countries where the Christian tradition dominated, the Gregorian calendar was adopted in the course of the next 400 years or so, but nearly all Eastern Orthodox churches use the Julian calendar to establish the dates of movable feasts such as Easter. And so it is that Orthodox Christians and Christians of the western church (Roman Catholic and Protestant) celebrate Christ’s birth, death and resurrection at different times. I don’t expect that the eastern and western churches will ever reunite, given the huge impediment created by Roman papal claims. But I still think that it would be ideal if we could all celebrate these great Christian events at the same time, even if not in joint services of worship. sover Lamb (1 Cor 5:7), the perfect sacrifice which would put an end to the need for animal sacrifices for the atonement of sin (Heb 10:4-10). So I think it would be very valuable for us to let the Jewish calendar determine when we celebrate our Lord’s death and resurrection. 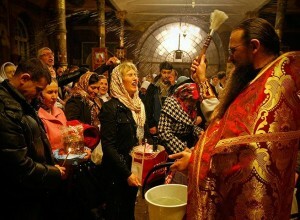 In the meantime, I like what has happened in Finland and Greece, as local expressions of unity in Christian celebration. Because Lutheranism predominated in Finland, Eastern Orthodox churches there have decided to celebrate Christmas and Easter on the dates that are traditional for Lutherans. Similarly, in Greece, where the Orthodox church is prominent, Catholic churches have chosen to celebrate Christmas and Easter according to the Orthodox calendar. What about the state holidays? 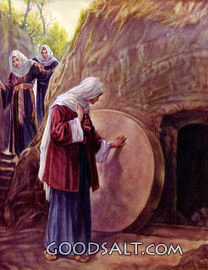 In western countries, Christmas and Easter are major commercial events. Many businesses depend upon their Christmas sales to balance their annual bottom line. It has become increasingly difficult for Christian parents to teach their children what Christmas and Easter are about, because the message being loudly proclaimed in the effective media campaign of secularist capitalism. With all the Christmas activities generated by workplace parties and school programs etc., and all the Easter egg hunts etc., it can be hard to make the celebration of Christ’s birth, or of his death and resurrection the focus of hearts and minds. So I propose that we let the Jewish calendar set our date for Easter, and all adopt the current Orthodox date for Christmas (around Jan 7). That one was the result of keeping Christmas on December 25 of the Julian calendar, even though the countries where Christendom was dominant had moved to the Gregorian calendar. Let’s leave December 25 and “boxing day,” the great festival of consumerism, to the state, as a public winter holiday. And when the call comes to establish a fixed date for the spring holiday, perhaps the first or second week of April, let’s vote for it. Sometimes, we might get a state holiday at the same time as we are celebrating our Lord’s resurrection, and most often we won’t, so we’ll get used to celebrating the faith on a “church calendar,” over which the state has no control. 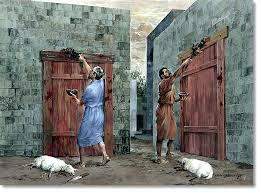 This entry was posted in Christianity, Ecumenism, Liturgy and tagged Christmas, Easter. Bookmark the permalink.